Well yesterday I decided I had to tackle hooking up the shower. I layed out all the bits and re-read the instructions. This is all new to me. 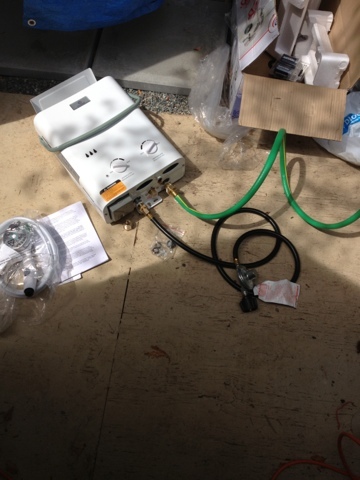 Here I have connected the water pipe (hose) and the propane pipe. 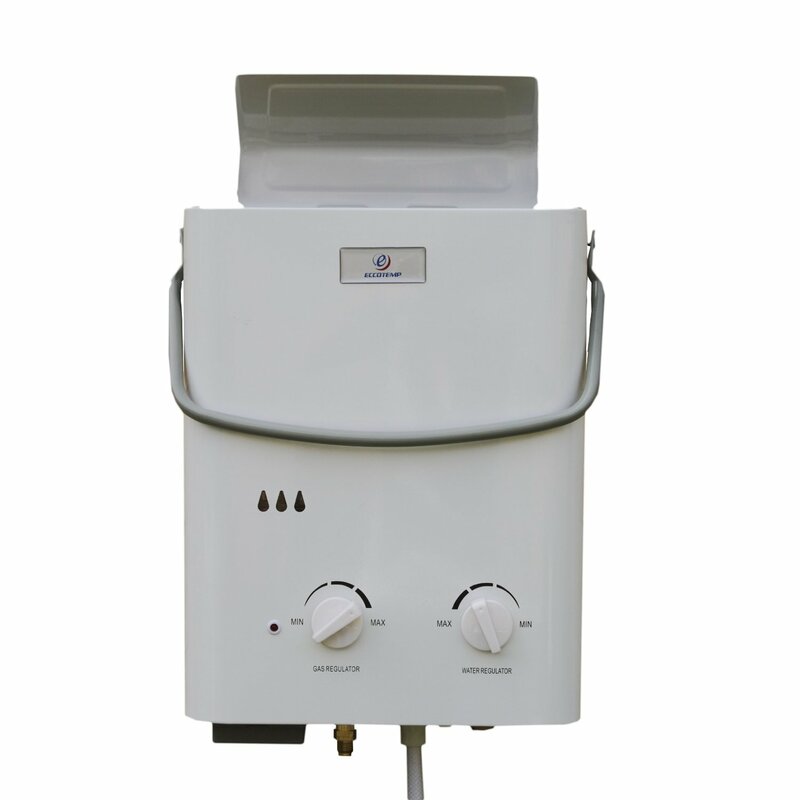 "Enjoy instant hot water wherever you go with the Eccotemp L5 Portable Tankless Water Heater. 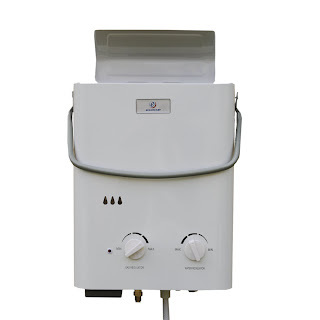 Generating more than 1 gallon of hot water per minute, this compact, energy-efficient heater creates a more comfortable and convenient outdoor experience for you and your family. The water heater comes with everything you need, including the adapters required to attach any standard garden hose nozzle and propane tank (tank not included)." This was exactly what I wanted and was quite reasonably priced, I think I paid around $129.00. 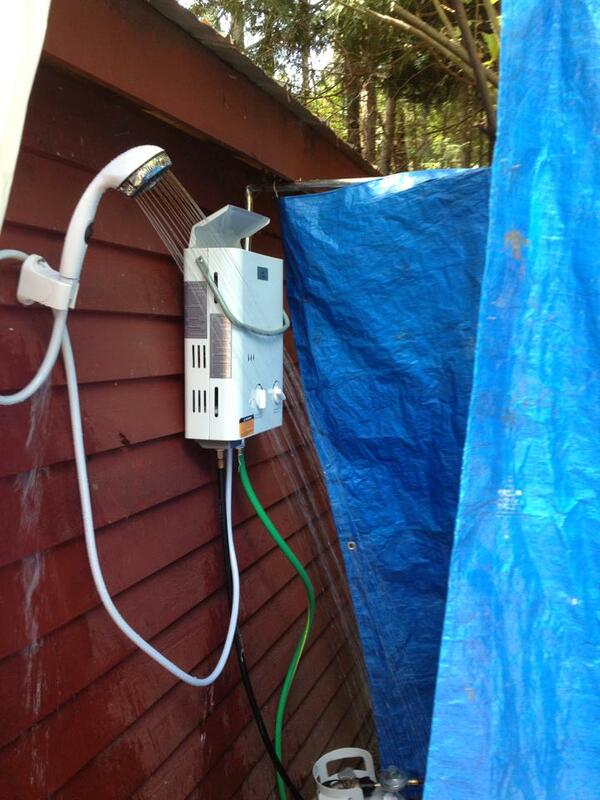 Finally after hooking up to the propane tank, I flicked the on switch and it fired up and voila, hot water. I am very happy I managed to do this and look forward to many warm and relaxing showers.